If you have any questions about the MA BICHE information page below please contact us. Originating from the Cheoy Lee Shipyards shipyard in Hong Kong the MA BICHE is 32 m 103 (ft) in length. Ready for launch by 1991 her interior design and decor reflects the yachting ideals in the designing of Susan Puleo. 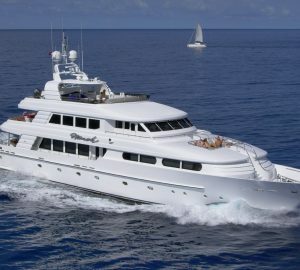 Superyacht MA BICHE can accommodate up to 10 passengers with 5 crew. The former names or project names were 4233. She is able to attain a top speed of 16 knots. Jack Hargrave was the naval architect firm involved in the formal superyacht composition for MA BICHE. Also the company Jack Hargrave successfully collaborated on this venture. Interior designer Susan Puleo was employed for the internal internal styling. Created at Cheoy Lee Shipyards the vessel was constructed in the known yacht building country Hong Kong. She was successfully launched in Hong Kong in 1991 before being transferred to the owner. Her core hull was crafted from aluminium. The motor yacht superstructure is fabricated predominantly using steel. With a beam of 7.25 m or 23.8 feet MA BICHE has reasonable room. A fairly shallow draught of 2.83m (9.3ft) selects the amount of marinas she can visit, depending on their specific depth at low tide. The 3412TA engine powering the yacht is produced by CATERPILLAR. She is driven by twin screw propellers. The main engine of the yacht creates 1000 horse power (or 736 kilowatts). She is fitted with 2 engines. The sum power for the boat is accordingly 2000 HP / 1472 KW. As for stabalisers she was supplied with Naiad. Having space for a maximum of 10 yacht guests spending the night, the MA BICHE accommodates them comfortably. Under normal conditions she carries approx 5 proficient yacht crew to run. 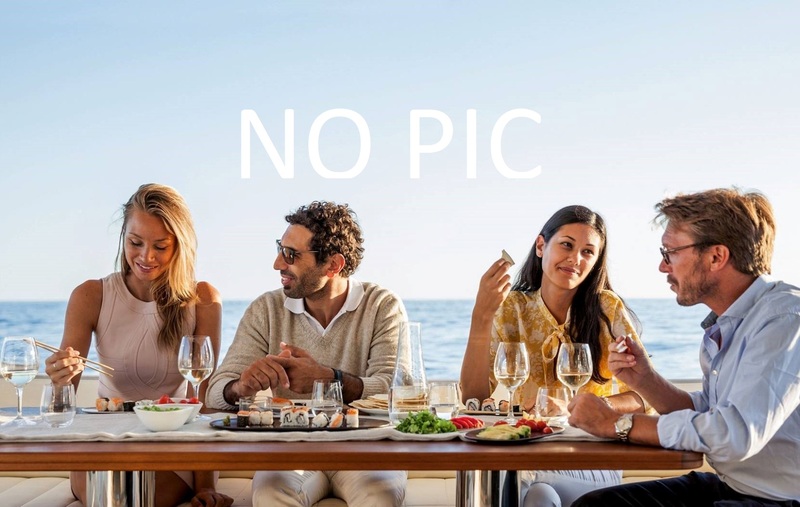 The luxury yacht MA BICHE displayed on this page is merely informational and she is not necessarily available for yacht charter or for sale, nor is she represented or marketed in anyway by CharterWorld. This web page and the superyacht information contained herein is not contractual. All yacht specifications and informations are displayed in good faith but CharterWorld does not warrant or assume any legal liability or responsibility for the current accuracy, completeness, validity, or usefulness of any superyacht information and/or images displayed. All boat information is subject to change without prior notice and may not be current.